\ A new year is almost upon us. 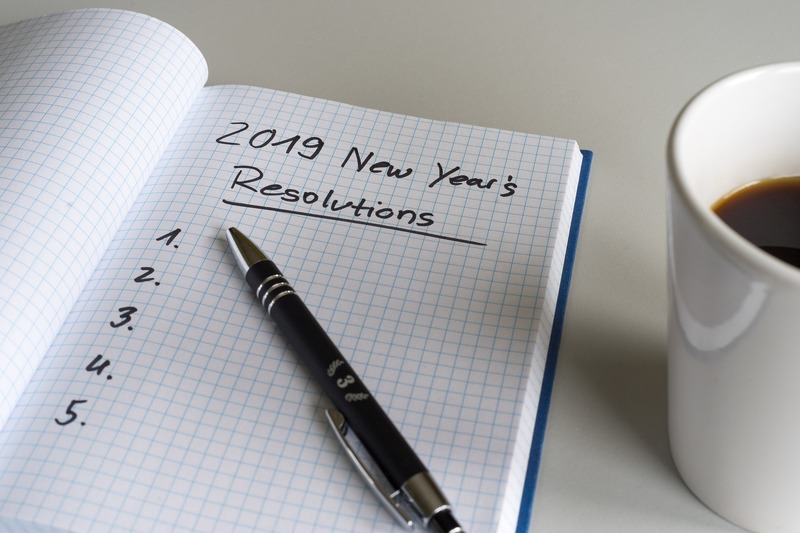 While everyone is making weight loss goals and promises to themselves that this year will be the year they finally get into shape, why not make some resolutions that you will be excited to keep? We all have a favourite spot. Maybe it’s at a lake we went to as a child. Maybe it’s the majestic mountains. Maybe it’s a place where all of our friends go. Having a regular spot is really a wonderful thing. But in 2019, why not commit to adventure, and try somewhere new? A great place to start is checking out our RV Care partners (or Priority RV Network in the US). Pick a place on the list you have never been – a place where you can be certain your RV will be well taken care of within the RV Care network – and plan your trip. You can also try staying on a farm or at a winery for free this year. Whatever you decide, make a resolution that you will take your RV somewhere new this year, and show it a good time. Have you ever met an out-of-towner that raves about some tourist attraction in the area you have lived for years, but have never visited? We often take for granted what wonders there are to explore near us. This year, why not make a resolution to visit a lake or a campground near where you live and pretend it’s all new to you. This can not only mean a cheaper vacation, but it involves a lot less driving and will give you a new appreciation for where you live. Take a look at Trip Advisor suggestions for where you live. Google “RV Campgrounds around St. Albert” (or Edmonton, or Leduc, or wherever you live) and see what pops up. Or go old school and take a trip to the visitor center and ask questions. Pretend you really are a tourist and get curious. You can even wear a fun hat and a fake mustache if you want! Perhaps you have gotten used to RVing in seclusion, or have a group you always travel with. While comfort is a wonderful thing, why not make it a goal this year to meet new people when you are out adventuring? RV campgrounds are often well-designed to facilitate meeting new people. Whether it’s going with the kids to the playground, or setting up some chairs by the lake, there are many opportunities to start up conversations with people you already share interests with. It could be a hike together or a shared meal, or just a chat by the water. These friendships can be lasting. Plus you can learn about great places to go on your next adventure. This might seem obvious to some of you – why go camping at all if you don’t plan on spending time outside? But often, when our RV is so luxurious and has all the comforts of home, we forget that we aren’t home. We watch movies and play on our phones and sleep late – all wonderful things – and sometimes forget to put all of it down and just go outside. This year, plan to spend more time in the great outdoors. Invest in a canoe, or some outdoor games. Find campgrounds that have hiking paths nearby and take advantage of them. Try to summit your first small mountain. Attempt stand up paddleboarding. Catch the biggest fish in the lake and take a proud picture before you release it back into the wild. Whatever your interest – reading, cooking, games, sports – bring it outside. After all, that’s why you’re on this adventure in the first place, right? I know I promised this list would be fun, but bear with me, because this is important. Regular maintenance will not only save you on costly repairs, but also the hassle of having to interrupt your fun to deal with emergencies. At the beginning of 2019, make rough guideline for yourself about when certain things need to be replaced and maintained. Group as many things together as possible, and then put reminders in your calendar. Make a plan to have it serviced professionally at the beginning and the end of the season. Take note of when the next oil and filter changes are, and when the next time the generator needs to be maintained. Put a recurring reminder in to check the roof seals every 6 months, to avoid costly leak repairs. Make it a routine to check your tire pressure and lug nuts, as well as your battery, before every trip. Taking a little time at the beginning of the year to rough out your maintenance plan will ensure that you remember what to do and when, and that you can continue to have stress-free adventures. Here’s to a great 2019, and all of the RV adventures within!